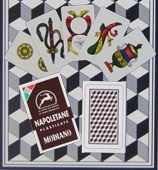 Modiano marked cards is based on the famous playing cards brand Modiano. It is popular be used in USA, European, Far east, South America. It normally has two types of material. One is 100 percent plastic. 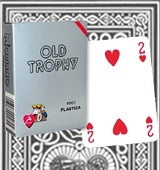 Those marked decks based on the plastic own the Modiano plastic playing cards` character, which are extremely playable without sacrificing durability, resilience, or sharpness. 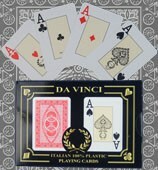 The other is the paper based, plastic-coated playing card. It makes paper based marked cards cost is favorable than the plastic one. Normally the marking type can be divided into 4 types according to the usage, which is marked cards for contact lenses, infrared marked cards for infrared camera, barcode deck for the poker analyzer system, and ultimate marked deck for the naked eyes. 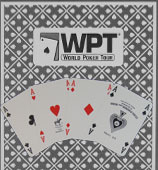 Following we will introduce those 4 types of marked cards for sale. The ultimate marked deck is made during printing the original deck. 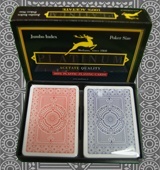 The signs are preprinted with the back pattern at the same time, the design is similar with others regular non marking playing cards. Maybe we call a extra curve or a short line different slightly. It so much likes the spotting the differences between two photos game with the highest difficulty level. 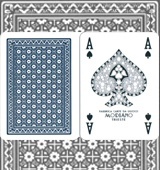 There will be no more extra invisible ink to cover the backside of the playing cards, it means the ultimate deck is unpredictable by any black light or money detector. The marks are only visible when a person is trained to read the marks and no filtered sunglasses are required. 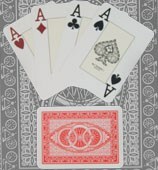 This marked deck normally made based on the paper material or the mixture material cards due to cost limited. 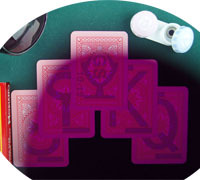 The marked cards with contact lenses is the most convenience aid among the poker trick devices, which can be operated by the operator himself. The numbers and suits invisible marking be processed prior to a poker game by the cards owner. Except for the poker cheater wearing the perspective contact lenses to read the marked cards. Ops, only God knows ! 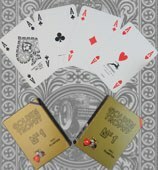 As the Texas Holden is common game all over the world, the Modiano Texas Holdem marked cards become the popular one among the serials. 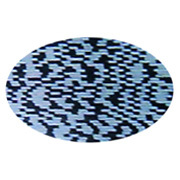 It is the most efficiency one for the lenses invisible ink marking process. The backside logo pattern is ink friendly, and the senior technician targeted developed the inclusive invisible ink recipe. Those beneficiate the invisible ink be absorb totally by the plastic material. 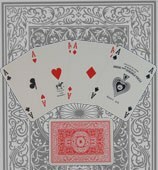 It makes the original logo of the playing cards and the invisible numbers & suits mark melt into one in a perfect way. Once the invisible mark hidden in original logo well, human naked eyes barely can find them on the marked deck. Its 9 colors design can meet different people`s need. The red, orange, blue, brown one will be suggested if the best marking effect for lenses is required. The regular marking normally is a big number in the middle, and 4 signs stands for different suits. The most interesting thing is that the cards owner can design his own marks, like marking some numbers only 8,9,10. 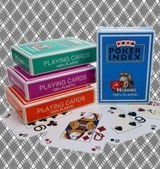 It helps the poker owner to memorize the markings in fast way and give reaction in the game promptly. 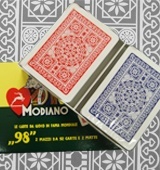 Beside Modiano Texas Holdem, the Modiano Cristallo, Modiano Poker Index is also a good option for marking the contact lenses marked cards. The simplest is the classic. The confidential for this type of marking deck makes everyone fond of it. 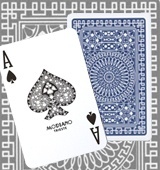 If you like simple style, you deserve to have one deck of Modiano marked cards. People are so familiar with the lenses cards kit that need something new to stimulate the sense and educate the mind. The barcode marked deck poker analyzer system was born by his destiny. Unlike the technique of lens cards uses a tint solution to mark cards, the scanning marking is kind of black and white Morse Code. So it is safe for naked eyes, poker lens unable to detect either. 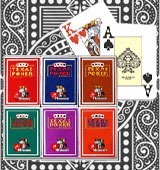 It is printed on the four sides of the playing cards, no matter whatever color the cards is, normally it is no difference to the mark effect. 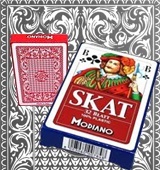 Which means whatever mode of the Modiano can be made as barcode marked deck. 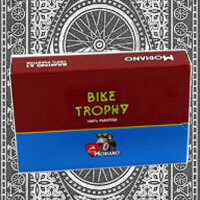 For example, Modiano Jumbo Bike, Modiano Traditional Decks, Modiano Napoletane. Infrared camera marked cards is very similar to the contacts marked cards. 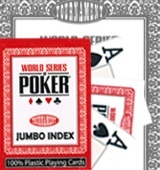 It is infrared ink mark be printed on the backside of the playing cards which is for some infrared poker camera to detect only. The infrared character which makes the UV light unable to detect the marks. The confidentiality of the infrared marked cards is much better than the normal contact lenses marked cards. 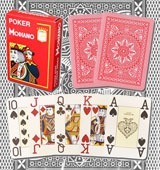 One feature is the same as the lens cheat poker, the marking patterns is vary depending upon the back design of the cards, proportion blended ink was applied to the back of playing cards that to the naked eye was invisible but invisible when the administrator to check it back in front of some hidden monitor screen. 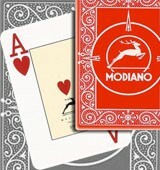 Many modes under Modiano can be transformed into infrared marked cards. 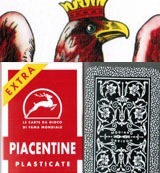 Such as Modiano Platinum, Modiano Da Vinci, Modiano Golden Trophy. 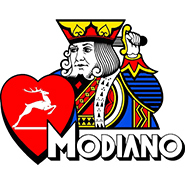 Here Buymarkedcards has nearly the whole collection of original Modiano in stock for sale. No matter which mode, which color, which type of invisible marking is needed, we are able to print it into marked cards and ship them within a short time. The most important is after you search online and compare the price, you will find the price here is very competitive.